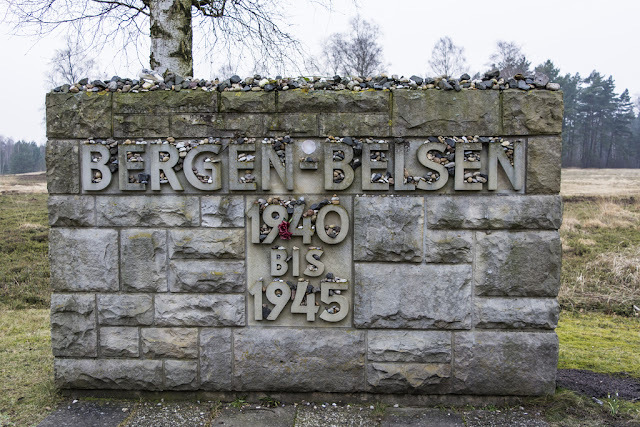 I recently discovered, in the archive, six original photographs taken at the time of the liberation of Bergen-BelsenConcentration Camp in 1945. These were entitled, “Photographs taken by a friend of Mgr D.P. Wall. Belsen Concentration Camp. German soldiers compelled under an armed guard of British troops to bury the dead.” Mgr Denis P Wall (ordained 1944, died 1992) was a priest of the Diocese and we can only speculate why these photographs ended up in the Diocesan Archive. Perhaps whoever took them recognised their importance and wanted to put them somewhere that they would be well looked after. The images captured scenes of piles of skeletal bodies being buried (I have not included the images in this blog due to their disturbing content). 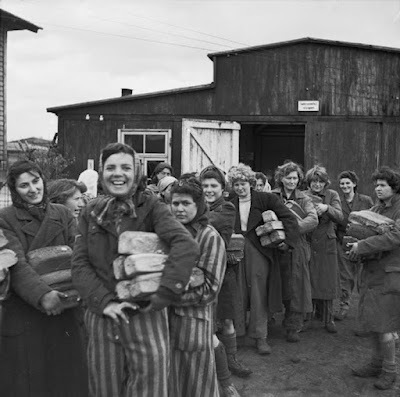 "The photographs are much more important than I expected ... these contain new perspectives and two of them show burial at a place in the women's camp which we did not know before. I shall put them into our photograph collection."